Before you start collecting data you need to create a map and a point layer where you will send your data from the field. 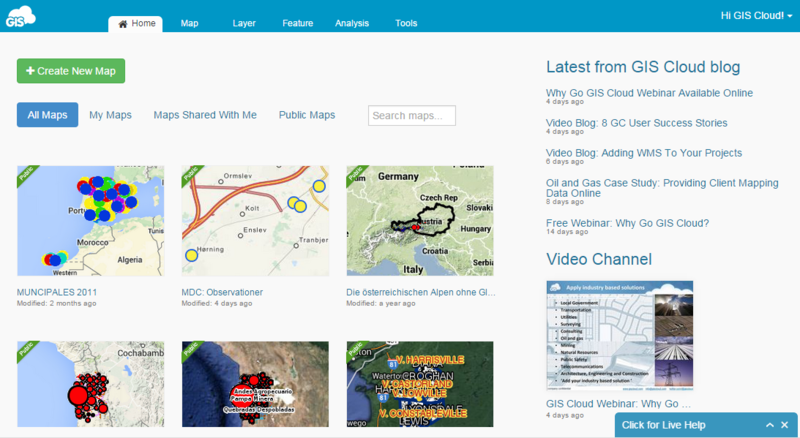 Log in into your Map Editor account with your existing GIS Cloud credentials and create a map. For more info on how to create a map click here. Add database point layer in the map. Note: Point layer has to be imported into the Database, otherwise it will not be possible to collect data with MDC application. After you create a map and a layer you need to create a custom form and connect it to the layer in the map.